(JIJI) In negotiations with the European Union on an economic partnership agreement, Japan may be reviewing several compromises in areas including university and hospital projects, railway operators, and tariffs, according to several sources. 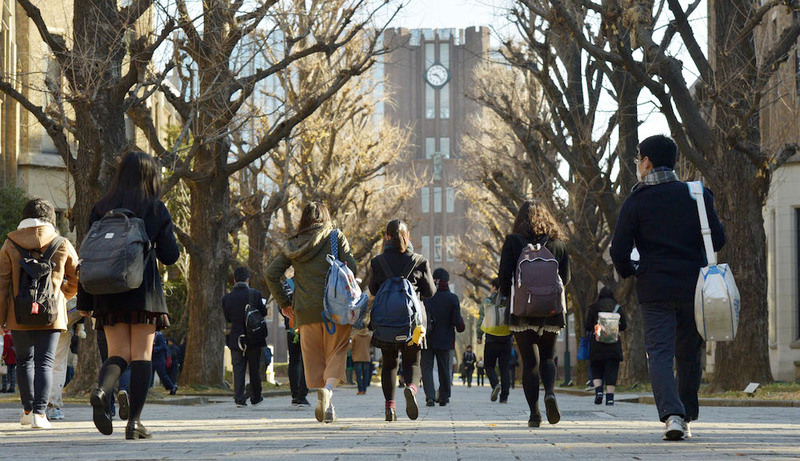 Tokyo is considering opening up bidding for local university and hospital projects to European companies, sources said, a compromise in a key area of public procurement as both sides aim to reach a broad agreement on the economic pact next month. Under the World Trade Organization agreement on government procurement, Japan’s central government, prefectures and ordinance-designated major cities are required to allow foreign firms to take part in bidding for projects of a certain scale. The rule, however, does not apply to projects for local government-managed universities and hospitals. The EU, which allows companies outside the region to participate even in municipal-level bidding, is pressing hard for midsize cities to open up to foreign firms. But the government remains skeptical about meeting the demand due to concerns about the possible negative impact on local businesses. In the talks with the EU, Japan also put forward a compromise focused on publicly financed railway operators. Under the proposal, the companies, including Tokyo Metro Co., Hokkaido Railway Co., Shikoku Railway Co. and Japan Freight Railway Co., along with railway operators run by ordinance-designated major cities, will be required to hold international bidding for construction services and procurement projects beyond a certain value, the sources said. Tokyo Metro is partly held by the central government, while the three JR companies are fully owned by the state-affiliated Japan Railway Construction, Transport and Technology Agency. Japan is also discussing the idea of reducing tariffs on wine and other products while urging the EU to make concessions over its automobile tariffs. One proposal is cutting tariffs on wine from EU nations to zero in stages, sources said. EU-made wines account for about 70 percent of global wine production. The EU is calling for the elimination of the wine tariffs, as Japan is poised to lift its levy on wines from Chile in 2019. But Tokyo and Brussels have yet to reach a similar deal, the sources said. Also under study is a plan to lower tariffs on low-priced EU pork products, the sources said. Japan is considering lowering the tariffs while maintaining the gate price system in which heavier duties are imposed on lower-priced produce. Specifically, the current tariff of up to ¥482 per kilogram for low-priced pork would be cut to around ¥50, similar to the reductions agreed to under the Trans-Pacific Partnership free trade deal, according to the sources. Tariffs on high-priced pork would be eliminated. Japan is also considering reducing its ¥30 tariff on pasta per kilogram to ¥12 or lower in stages, larger than the cuts agreed under the TPP. Tokyo also plans to reduce tariffs on chocolate products from the current 10 percent. For butter and powdered skim milk, which are in short supply, Japan will introduce low-tariff import quotas. But the two sides remain at odds over tariffs on European cheese. The EU has a share of about 50 percent in the global cheese market. The EU is calling for the lifting of tariffs on EU-made soft cheese, such as mozzarella and Camembert. But Japan has so far been reluctant due to the possible negative impact on domestic dairy farmers.